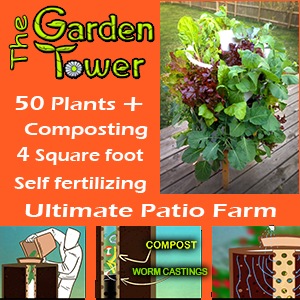 Are you a gardener who uses worms to turn kitchen scraps and other biodegradable materials into rich, organic compost? Well, you better take a look at the Worm Factory 360 composting system because it promises to help you make compost easier and faster as compared to other composting methods. This product from Nature’s Footprint is very simple to setup and easy to use, needing only 15 minutes of your time per week to make compost. It has a lot of freebies that it comes with when you make a purchase, ensuring that you get the best instructions and the materials needed to make high-quality compost at the comfort of your home. Expandable – This product can be expanded through its multi-tray design. 4 stacking trays are available for every pack of Worm Factory 360 and it can hold up to 8 trays. Ideal for Small Households – Since this composter is adjustable in terms of capacity, you can add more trays to handle the compost materials for a larger household. Easy Assembly – It has a simple setup assembly once you take it out of the box. Year-Round Guarantee – You can make composts for years without worrying about the durability of the composter. It also has a 10-year warranty. 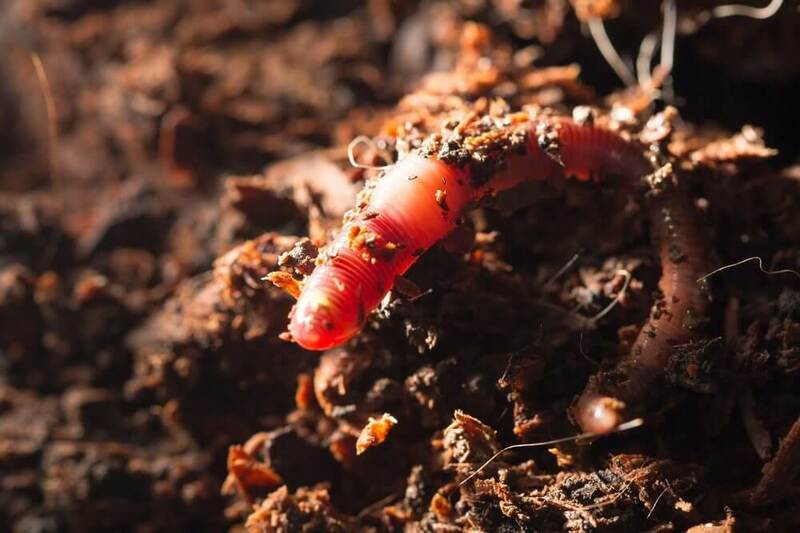 Freebies – Every Worm Factory 360 comes with mineral rock dust for nutrients, quick tips lid that can also be used as a stand and a guide on how to manage worms, an accessory kit, worm ladders, spigots for worm-tea, instruction-manual with DVD instructions and worm bedding. There are some pros and cons of using this product that the prospective buyers should consider before purchasing a compost bin. ​Capacity - It can make 8 standard trays of compost at a time. Each tray can weigh up to 12.5 pounds when it is full with compost. It also has a huge capacity and the frame is excellent when handling more than 4 trays. It has a good lid that can stop pests and it comes with a built-in thermometer to help you determine if your trays are too hot and if you need to put water in. Composition Time – Due to its thermo siphon air flow design, it speeds up the composting time which can vary depending upon material used. Pest and Odor Control – It promises an odorless and pest-less composting experience even when you make compost inside the house. Cost – For a little over $100, you can buy the entire set of Worm Factory 360 with its freebies. You can purchase trays in sets for $25 per pack. Easy Setup - Users say it’s very easy to set up and everything you need to do to set it up and maintain it is included in the package. Easy Drainage - Users also say that the spigot is very easy to drain, without causing a mess in the process. They say that this composter can be used year round or more and the quality of the compost is good too. Clogging - Some users say that the quality and design is disappointing. The spigot sometimes remains clogged, making it difficult for worm tea to seep out. Migration - Worms also do not migrate as the manual says because the brackets that help these worms go up are very small. Warping - Depending on the temperature in the house or outdoors, some users noticed that the lid tends to warp considerably, which makes it difficult to use on the trays. Sharp Areas - There are also sharp areas on the composter, especially on the trays and the lid, which makes it dangerous for children when it is used indoors. Flies & Mites - Some also complain that this product attracts fruit flies even though they follow the instructions on the manual about how it could be prevented. Some of the flies even use the trays as a reproduction area. It is also prone to attracting mites. Wet Compost - The quality of the compost is very poor too, because the compost, especially in the first bin, remains wet. Is The Worm Factory 360 Right For Me? 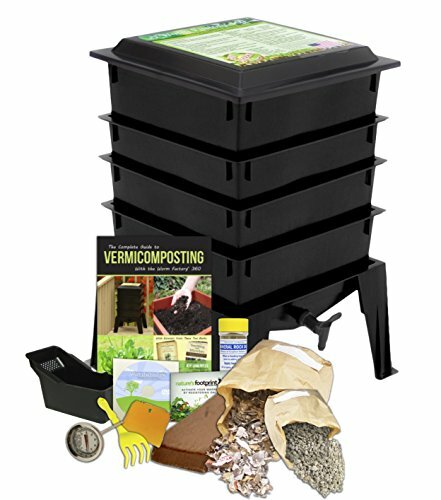 ​Then the Worm Factory 360 Worm Composting Bin could be right for you. Even though some people find it disgusting to touch and look at worms, these worms are actually an important part of life for the plants. They help the soil get the nutrients it needs. With this worm composter, you can make fresh compost that is filled with nutrients and natural safeguards for plant diseases, making it good for the plants.